It’s generally agreed in the firearms community that, because of no expansion and the potential for over-penetration, full metal jacket rounds should not be used for personal defense. They are, however, a great choice for bulk plinking and training at the range. 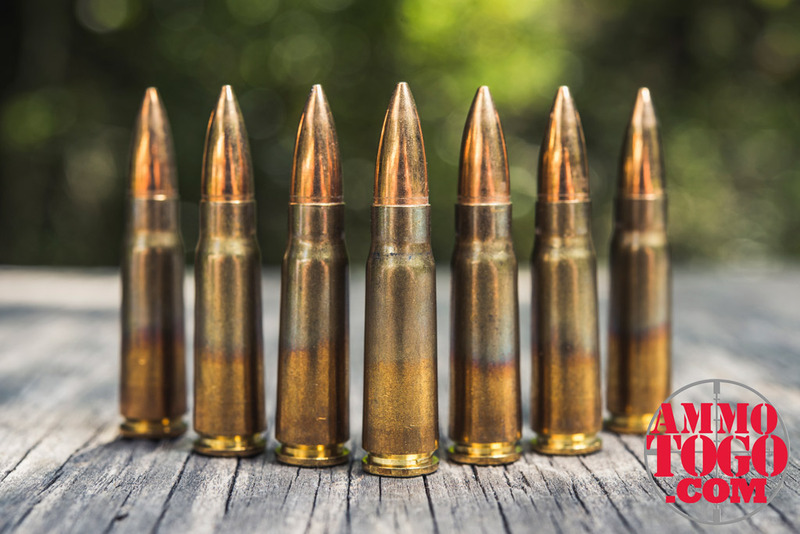 Full metal jacket bullets are among of the most common ammunition options available. They are manufactured for practically every type of handgun and rifle cartridge. The bullets are known for delivering smooth performance as well as reliable feeding in semiautomatic weapons. These bullets have their advantages and downsides. Anyone who owns a firearm should understand the history, manufacturing process, and characteristics of these important forms of ammunition. The Full Metal Jacket round changed the way militaries conduct modern warefare. When the public starting using firearms, guns mostly fired pure lead balls largely because lead was cheap and easy to shape. When gunpowder was still weak and velocities were slower, the lead ball would retain it’s general shape as it was fired. As gunpowders improved and velocities increased, lead was becoming distorted in the barrel and, because of heat and friction, a small amount of lead would be deposited inside the barrel. After a few less effective attempts to solve the issue, in 1889 Lt. Colonel Eduard Rubin of the Swiss Federal Ammunition Factory and Research Center in Switzerland made a thin shell of copper and filled the inside with lead. Copper is not only harder, it melts at higher temperatures, and as Rubin discovered, the bullet was less likely to deform and deposited less fouling inside the barrel. Full metal jackets came into significant use for military applications, especially once the automatic machine guns replaced other rifle actions. he bullet feeds better from the magazine to the chamber because of the copper tip, making it ideal for high-volume military applications. 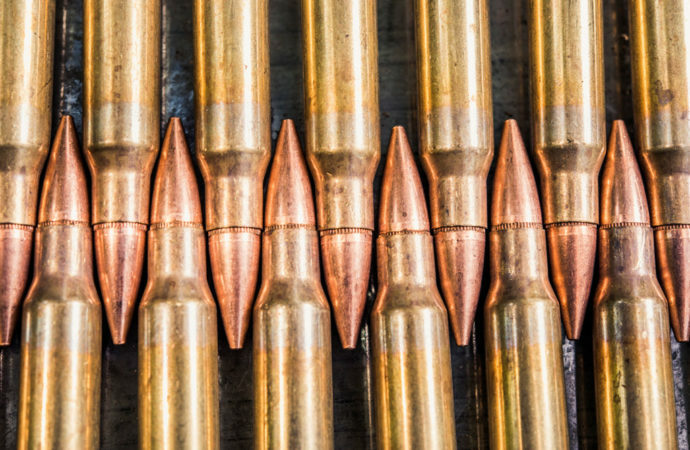 Full metal jacket bullets are made in different styles depending on the manufacturer, but most will use a process that essentially builds the copper jacket, then presses or pours the lead into the jacket itself. The process of placing lead into copper can take many forms depending on the bullet style, but full metal jackets have the lead inserted into the jacket from the back. This means that most have lead exposed at the rear of the bullet. The Hague Convention of 1899 made full metal jacket rounds even more prevalent. This convention laid out numerous international rules of war, including the prohibition of expanding rounds in combat. (The thought was that non-expanding FMJ rounds were ideal because they are more likely to wound but not kill an enemy. The U.S. participated in the convention but did not ratify this section.) Because expanding rounds were prohibited by many of the major world powers, the full metal jacket became the dominating bullet type in global warfare. Although they have gone through technological and design changes, full metal jacket rounds remain largely unchanged. 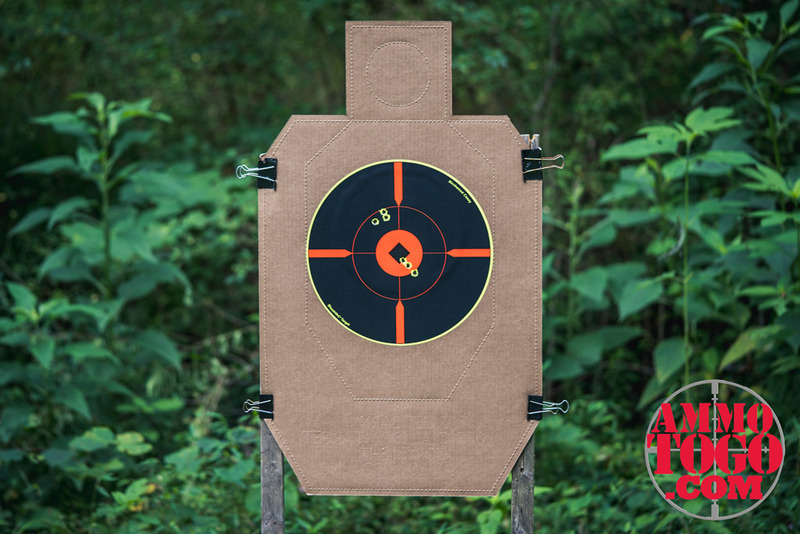 With a lead core surrounded by a copper jacket, they are still the best choice for high-volume target shooting. 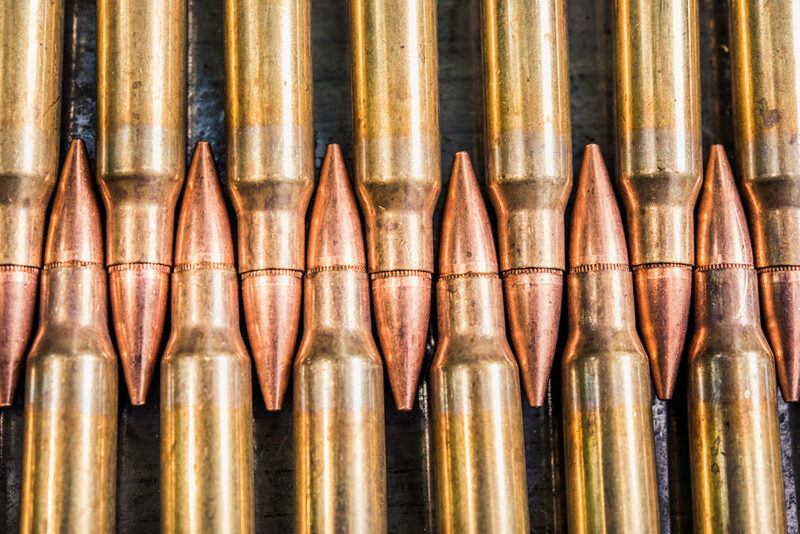 Full Metal Jacket bullets have many benefits for various applications. The top advantage for a full metal jacket bullet is less fouling in the barrel. As we described above, lead can leave a high amount of fouling inside the barrel, which will disrupt accuracy. 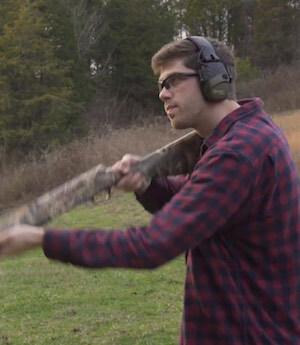 This may not be a concern if you are shooting a few dozen rounds, but if you are participating in high-volume target shooting, especially with semiautomatic rifles, you will appreciate the cycling reliability of full metal jackets. The other primary advantage of full metal jacket rounds is that they are more reliable in the feeding process. In a semiautomatic weapons, a round moves from the magazine to the chamber and out the ejection port. This process creates many different opportunities for the loaded or unloaded cartridge to become jammed. 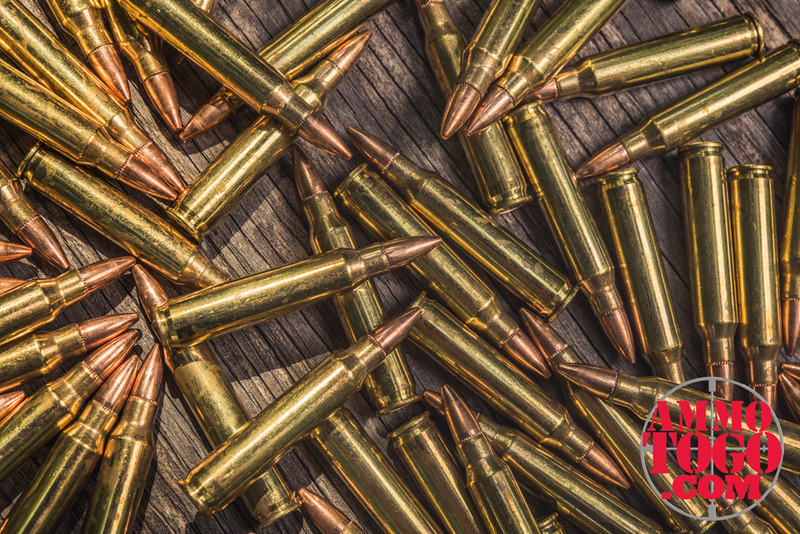 Jacketed hollow points and lead round nose ammo can catch on the internal components of the firearm, but full metal jacket rounds are less likely to have this problem. The biggest disadvantage for full metal jackets, at least for hunters and people concerned with self-defense, is that the bullets do not expand. The hard copper jacket keeps the shape of the bullet (relatively) and creates smaller wound channels. So while the bullet can have greater penetration, it is less likely to stop a threat or instantly drop a game animal. As you might know, when you are attempting to bag a deer or neutralize an attacker, you want to create as large of a wound channel as possible. The ballistics of the Full Metal Jacket bullet allows for superlative penetration in soft targets. Because the bullet keeps it’s shape and maintains greater penetration, there is also an increased chance that a full metal jacket bullet could travel through a target or a barrier and create unintended damage or injury. In a house, for example, a full metal jacket could, depending on the cartridge, penetrate through sheetrock and harm someone in another room. Price remains a relative concern, as some shooters are more price-conscious than others. However, when dealing with high-volume target shooting, price is an issue for virtually everyone, and with FMJ rounds, you will pay more than if you were using lead round nose. The copper is more costly and will generally drive up the cost for materials, and the manufacturing process is also more complex, creating a greater price. High-volume shooters who need a more affordable option may want to consider lead round nose ammo; just be aware of the potential for more fouling and increased chances of jams. The intended use of the selected ammo makes the decision easier when choosing between FMJ or HP bullets. Jacketed hollow points are generally considered a much better option than full metal jacket bullets when it comes to self-defense and hunting scenarios. 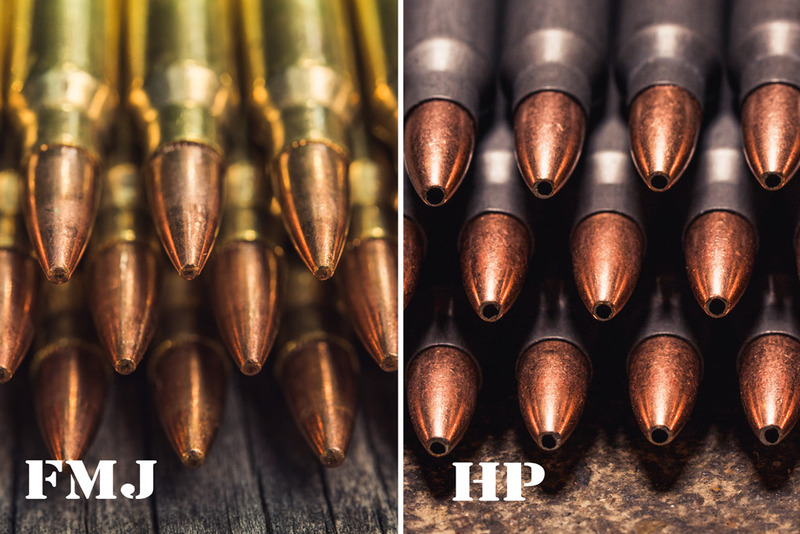 Unlike FMJ cartridges, JHP rounds are designed to mushroom out and expand when they come in contact with a soft target. For this reason, stick to FMJ when you’re primarily training or for situations when your life doesn’t necessarily depend upon your ammunition. For hunting, soft point bullets or some other, more sophisticated bullet like a polymer tip is what you’ll want to use. It’s generally agreed in the firearms community that, because of no expansion and the potential for over-penetration, full metal jacket rounds should not be used for personal defense. This includes home-defense scenarios or in your concealed-carry firearm. So when should you choose full metal jacket for your firearms? If you are a high-volume target-shooter, especially one that participates in competitions, then you will likely appreciate the effectiveness and reliability of FMJ ammunition. This, more than any other, is when the typical firearm owner will get the most benefit from full metal jackets.